Stand out from the crowd with this bang on trend aminal print top. 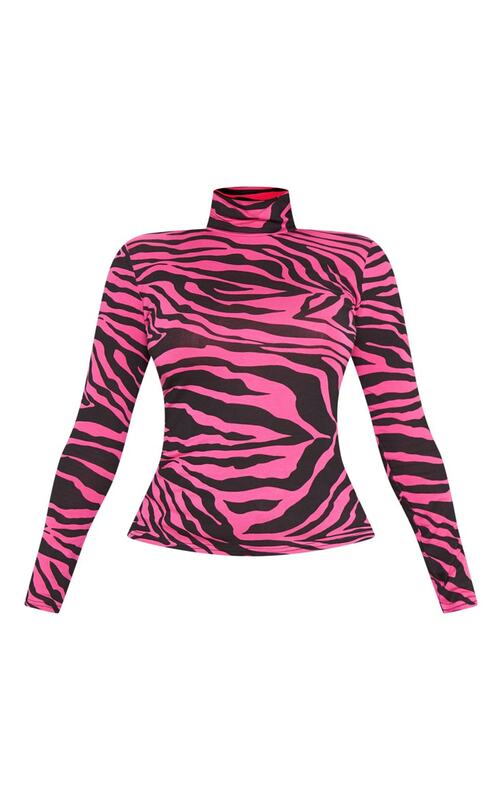 Featuring a neon pink material with a high neck and a zebra print design. Team this with a pair of totally fierce faux leather trousers and block heels for a look to get noticed doll.